On Wednesday, August 17th, 15 children from 15 countries gathered at the Marriott Marquis in Times Square to compete in the 3rd Annual Franklin Global SpellEvent Championship. The Franklin Global SpellEvent is a competition specifically designed for non-native English speaking students who are learning English as an additional language. Each child was the winner in a local or regional competition in their home country and was awarded an all expense paid trip to NYC (with a guardian) to compete in the finals. The children arrived with their families on Monday, August 15th and many were both shy and nervous. Tuesday they spent the day together touring NYC and establishing friendships. By Wednesday, the day of the final, they were like any other pack of kids, just excited to be hanging out with friends in the Big Apple and ready to congratulate and console each other after the competition. Competing countries in the event were : Argentina, Mexico, Chile, Russia, China, Senegal, France, South Korea, Germany, Turkey, Italy, UNited Arab Emirates, Brazil, Czech Republic, and Spain. 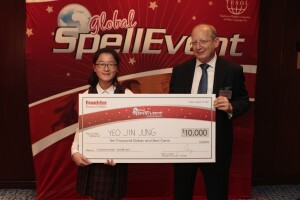 The Championship began at precisely 1:30pm and ran approximately 2 hours, with 12 year old Yeo Jin Jung, representing South Korea, walking away the grand prize winner with a trophy and a $10,000 scholarship check. The winning word was “repetitious”. In 2nd place was Jiri Fof from Czech Republic and in 3rd place was Julia Harumi Namba from Brazil. Funnily enough, this is the 2nd consecutive year that South Korea has walked away with the grand prize. Franklin partnered for this event with TESOL International Association (TESOL); the global association of English language educators, and their network of 100 affiliate organizations around the world. For a complete list of student finalists and winners, or to learn more details about the Global SpellEvent Championship, please visit: www.spellevent.org. Please see the videos below to catch a glimpse of the competition as well as the top 3 finishers appearingon WPIX NYC. Franklin Global SpellEvent Championship Recap from Alyson Campbell on Vimeo. 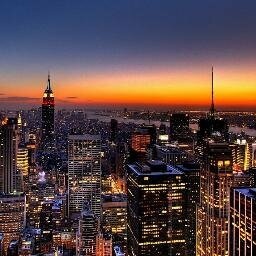 For more information on Franklin Electronic Publishers, the Franklin Global SpellEvent or NYC PR, please contact AMP3 Public Relations at 646-827-9594 or [email protected]. This entry was posted on Thursday, August 18th, 2011 at 9:50 am and is filed under New York City Events, Public Relations. You can follow any responses to this entry through the RSS 2.0 feed. Both comments and pings are currently closed.